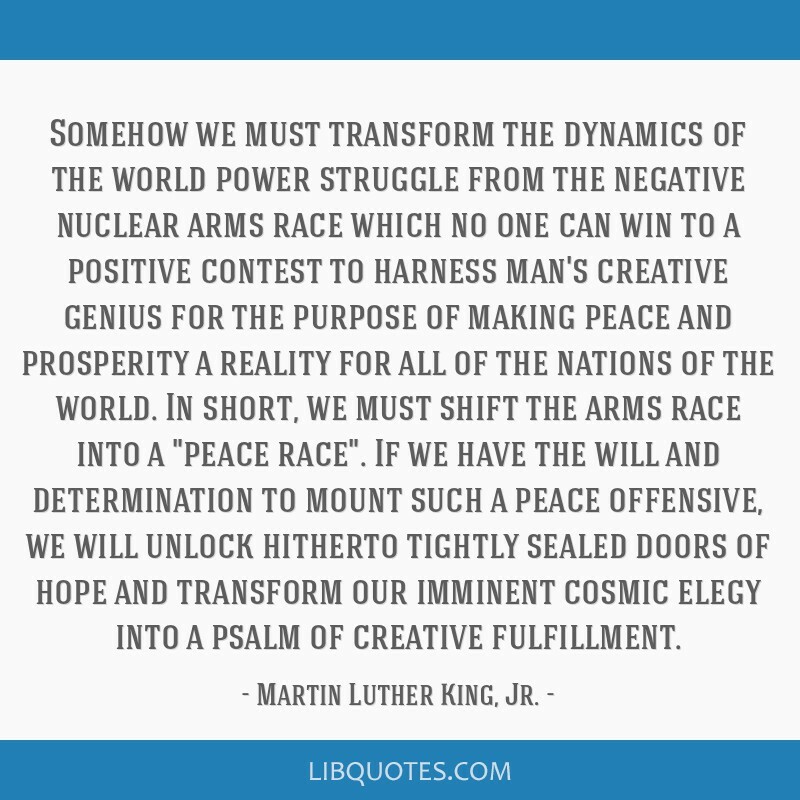 Somehow we must transform the dynamics of the world power struggle from the negative nuclear arms race which no one can win to a positive contest to harness man's creative genius for the purpose of making peace and prosperity a reality for all of the nations of the world. 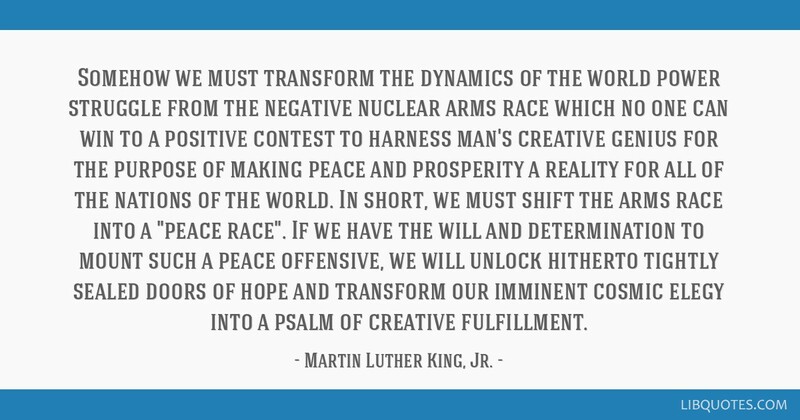 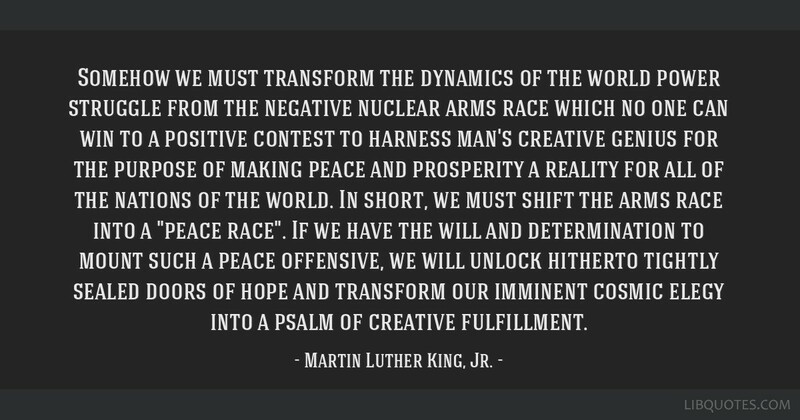 In short, we must shift the arms race into a "peace race". 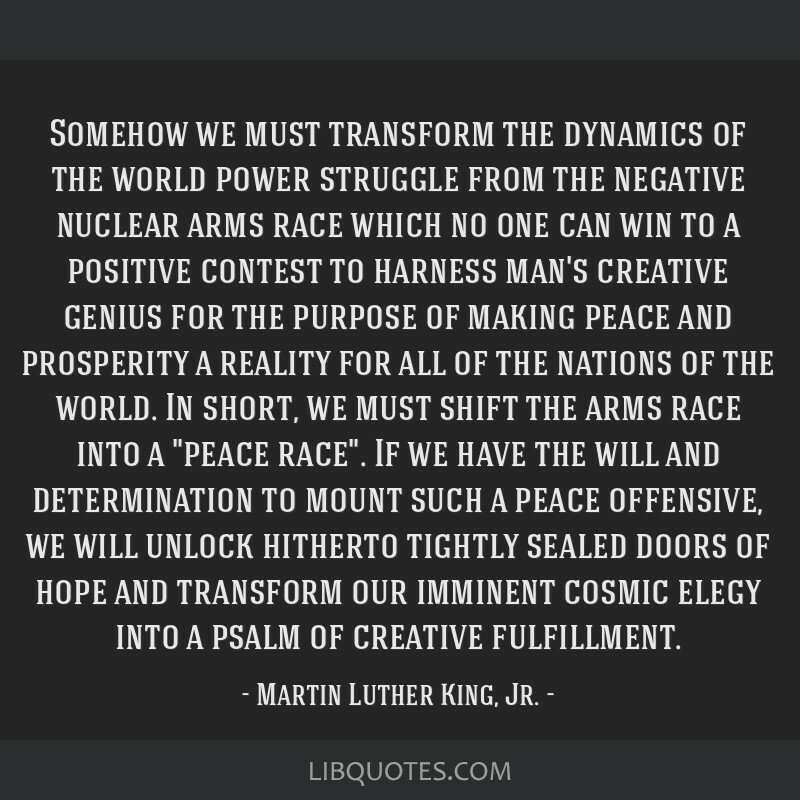 If we have the will and determination to mount such a peace offensive, we will unlock hitherto tightly sealed doors of hope and transform our imminent cosmic elegy into a psalm of creative fulfillment.